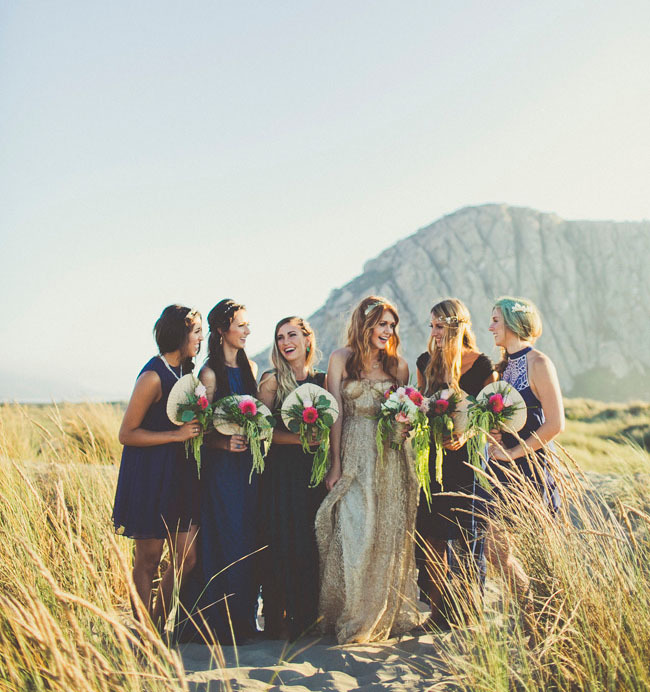 The bride’s stunning gold dress also pairs gorgeously with the jewel-toned blue and green bridesmaids’ dresses. 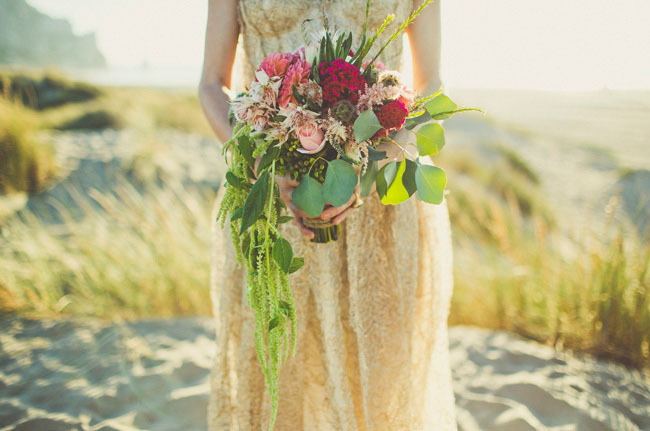 Such dreamy colors for this seaside shoot. 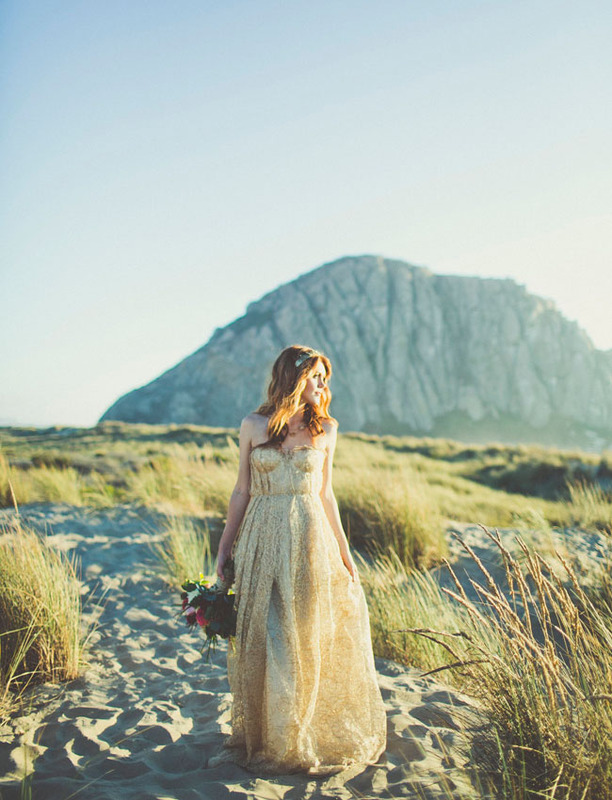 See the entire inspired shoot over on Green Wedding Shoes. This dress is stunning! I love non-traditional wedding gowns. If I got married again, I would absolutely go gold! Love it! OMG ! 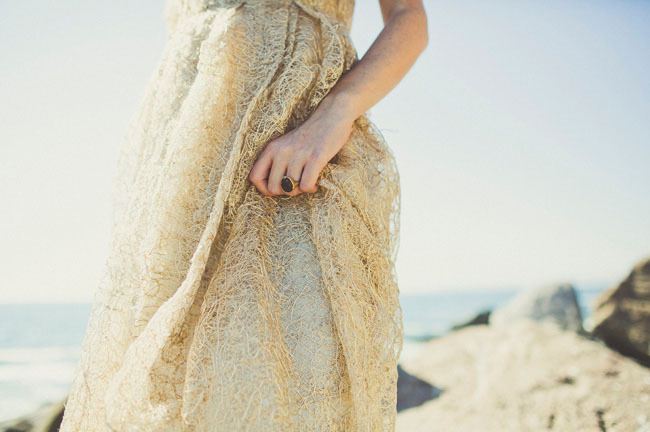 Golden wedding dress, with beautiful hairstyle, at the sea, what a lovely picture ! Romantic ! the dress is so “mermaidish” and beautiful! even like the navy blue bridesmaid dresses!